There is just so much to love about this wedding! Lauren + Dylan celebrated their special day under an open marquee at Sarabah Estate, with the most picturesque vineyard backdrop located in the Gold Coast Hinterland. 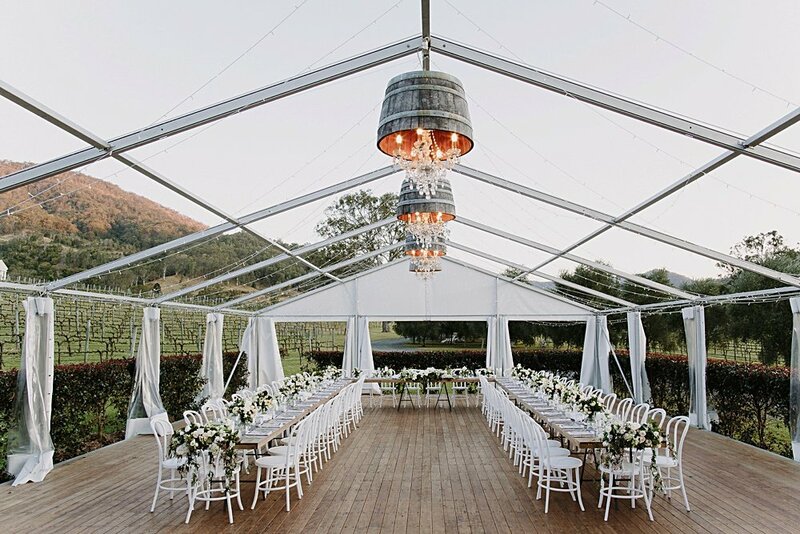 A simple outdoor ceremony was created using our french bistro chairs dressed with trailing floral arrangements, followed by a soft and romantic reception setting using our wooden dining tables and white bentwood chairs – a match made in heaven! Captured beautifully by Heart and Colour with an A-team of suppliers, check out the imagery below + our very own style guide to help create this look using our range.